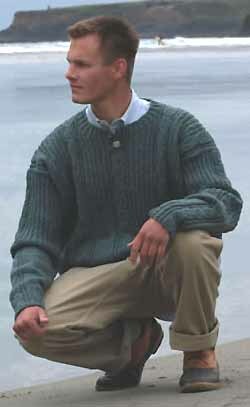 This unisex pullover is knit using Jamieson's Double Knitting 100% wool yarn and is from Simply Shetland. The bottom picture also shows the Eudora Hat and Eudora Scarf. The design is by Mari Dembrow and is classified as an "Intermediate" skill level. Yarn kits for five sizes and two colours are detailed below. (but not included in kit) Two 3/4" Buttons (see notes below for more information). 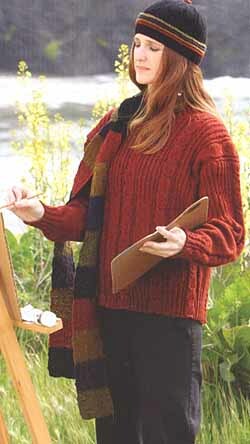 Two Buttons are required for the sweater and are not included in the kit prices shown above. These can be ordered from our extensive button collection. If you would like help in choosing a set to match, indicate this in the comment field of your order form.